Mrs. Anna Christina (Seitz) Wabrek of Cottage Street, New Hartford, was born November 26, 1898* in New Hartford, daughter of German born parents Anna Mary (Yahone) and Gustave Seitz. 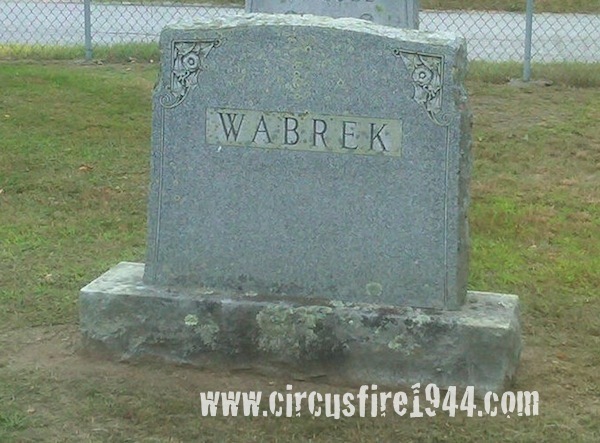 Anna was found seriously injured at the circus grounds after the fire on July 6 and was taken to Municipal Hospital where she died during the morning of July 8, despite supportive efforts to save her life. 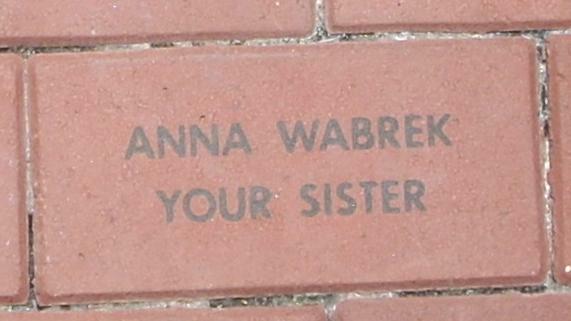 Mrs. Wabrek’s daughter, Lorraine, 13, was also a victim of the fire, found dead on scene. Anna and Lorraine were buried at North Village Cemetery in New Hartford after services at Shea Funeral Home on July 8. Mrs. Wabrek leaves her husband, John Wabrek, 54; two sons, Waldemar, 19, and Frederick, 25, whose niece Mary Bedore, 13, also died in the fire; her sister, Mrs. Hulda Reichler, 47; and four brothers: William, 43; Rudolph, 41; Herman, 39; and Karl, 37. 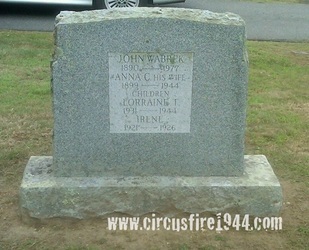 Anna and John also lost a 5-year old daughter in 1926, Irene. The estate of Anna Wabrek was awarded $9,000 by the arbitration board. 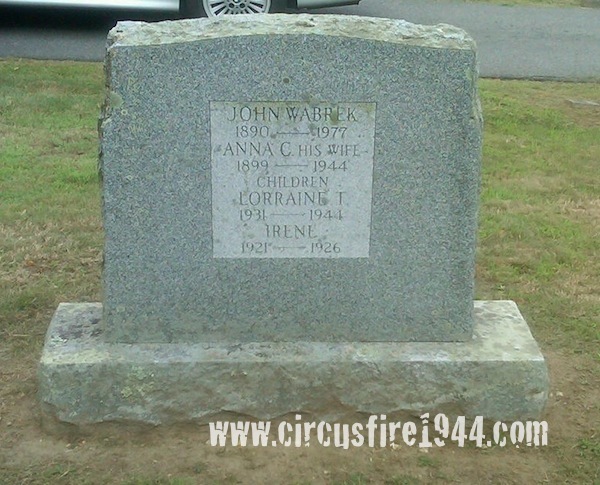 *Grave stone indicates 1899, though census and death certificate indicate 1898.